It is increasingly likely that you will suffer the consequences of an incorrect or denied insurance claim within the next five years. In 2011, erroneous claim payments increased by more than 10% over 2010; almost one in five claims are currently adjudicated incorrectly, according to the American Medical Association’s 2011 National Health Insurer Report Card. It is probable, if not certain, that you too will eventually be the victim of an outmoded, inefficient payment system, increasing complex and confusing reimbursement requirements, and over-worked, poorly trained health insurer employees. Knowing how to properly contest a claim payment decision is the key to maintaining your sanity and your financial health. There is no substitute to knowing the details of your health coverage. While the Patient Protection and Affordable Care Act, informally called “Obamacare,” establishes minimal standards for health insurance policies, there remain tremendous differences between individual policies based upon your election of benefits, maximum coverage limits, deductibles, co-payments, and provider availability. Typically, your first indication that a claim has not been paid or has not been fully paid is a phone call or bill from the physician, hospital, or other health care professional. The fact that the provider may have been paid incorrectly does not mean that you are liable, but rather that you need to investigate the details of the claim to ensure your policy covers the services provided. If you can avoid it, don’t get into an argument between the insurance company and the provider over the amount of payment the provider received. Reimbursements are the subject of a separate contract between the provider and insurance company – your sole purpose is to ensure the service provided was covered under your policy. Identify the Covered Person. Was the recipient of the provider’s services covered by the health insurance policy? Know Your Policy Details. What is your insurance policy and group number? Was your policy in effect at the time the services were provided? Did you pay the premiums when due? In other words, is your health insurance policy in good standing? Confirm That the Procedure Was Covered and Approved. Was the procedure explicitly or implicitly covered in the policy terms? Was prior authorization or a second opinion required? If so, did you meet the requirements? Do you have documents to prove your compliance? Pay Any Deductibles or Co-Payments Due. What is your deductible? How much is your copay? Have you made any co-payments required of you to the provider? Do you have evidence of your payment? Policy holders often forget there is usually a shared payment responsibility until policy maximums are met. Confirm Whether the Provider Was In- or Out-of-Network. Health insurance companies usually maintain closed panels of providers who have agreed to accept specific payments in return for identified services to the insurer’s policyholders. All members of the panel are considered to be “in network.” Providers who are not in the network are not required to accept the fee offered by the insurer and may charge more to patients than providers who are in network. As a result of an inability to reach agreement over prices with the out-of-network provider, health insurers either limit their payment liability to a fixed dollar amount or a low percentage amount of the fees, leaving any deficit between the fee and the insurer’s payment to be settled between patient and provider. Unknowingly using an out-of-network provider is a big cause of conflict between insurers and the insured. Understand the Appeal Procedure Detailed in the Policy. 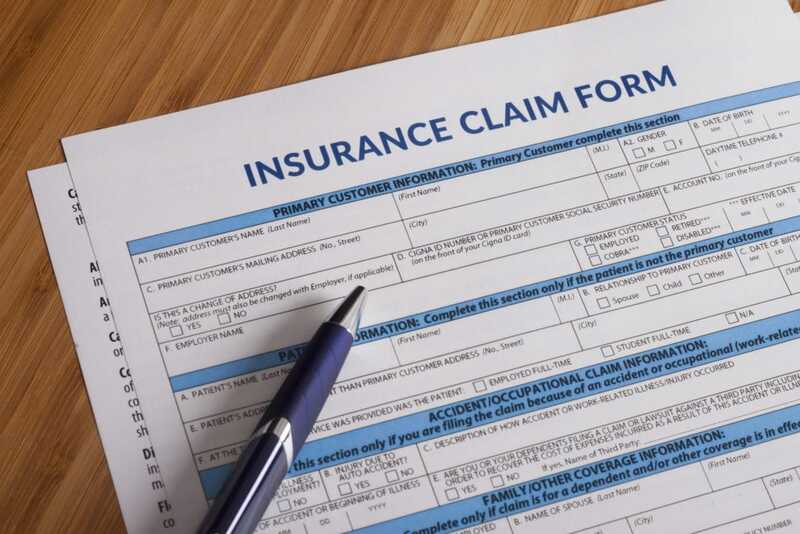 Your health insurance policy has a complete section describing how to question a denied claim, often with detailed forms, phone numbers, and websites. Once you’ve completed this process, you are prepared to discuss your policy with the insurance representative. Knowing the services to which you’re entitled is an essential step in getting the insurer to reconsider their position. Your health insurer will send you an explanation of benefits (EOB) each time it receives a bill for medical services rendered to you that may be covered under your health insurance policy. The EOB is essential to understanding how much you were billed for the service, how much was paid by the insurer on your behalf, any amount remaining of the bill which is your responsibility to pay, and the reasons and calculations behind the insurer’s decisions. You need to read the EOB carefully before contacting your health insurer and initiating an appeal. Not surprisingly, the provider often fails to provide all of the necessary information for the insurer to adjudicate the claim or misapplies the medical diagnosis codes, leading to the denial of the claim or payment of the wrong amount. For example, men being billed for pregnancy-related conditions or women for prostatic problems is not uncommon. Once you’ve reviewed the EOB, call the provider to ensure the proper codes and forms have been supplied to the insurer. Before contacting either your company’s human resource department (if you’re lucky enough to have an employer who handles matters like this for their employees) or the health insurer, you need to have your ducks in a row, more than a cupful of patience, and the determination of an Alaskan soccer mom. Claim Number. Each claim is assigned a unique number so that it can be located in the claim information system. 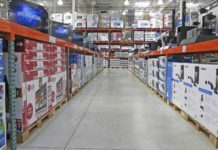 While it is possible to locate claims without this number, it is considerably more difficult and time-consuming for the customer service representative (CSR) with whom you must speak. You want the CSR to be on your side, so make his or her job as easy as possible for your benefit. Provider Details. Have the name, address, and phone number of the medical provider whose claim is in dispute. The provider may be a company, rather than an individual, or perhaps the professional corporation of the treating physician. You will need to identify the entity to whom payment is disputed. Dates of Service. Some services are provided over a number of visits or days, but billed as a single service. Be sure you know the dates of service for which the claim is being questioned. For reference, it is also helpful to know the date the claim was presented to the insurer by the provider. Network Status of the Provider. Many payment disputes occur due to the different amounts charged by and paid to a provider depending upon whether it is in network. The insurer’s printed materials are often out-of-date, and may not reflect the correct network status of the provider. Determining the status of the provider is usually your responsibility, so your first question when setting an appointment with a provider should always be to confirm its network status. Your appeal will be much stronger if you have the insurer’s list of in-network providers at or before the date you were treated. Lacking that evidence, you should show why you had a logical reason to believe the provider is a network provider, and that you were not informed of a change in network status before you were treated. If you have a benefits administrator at your place of employment, take the denial letter to him or her and explain the situation. The administrator might have the answers as to why your claim was denied. If no plausible reason can be found, the administrator might call the insurance company for you. If not, you’ll likely be offered professional advice on how to proceed. If you are handling the claim appeal yourself, call the insurer and ask to speak to the CSR for your policy. Write the name and phone number of the persons or persons with whom you speak at the insurance company; if you have to call back, you will shorten the wait time and avoid having to repeat the same information to a new person. Be prepared for a long wait on the first call as the CSR must collect information, and in spite of your frustration, be courteous. Claims representatives handle irate, tense policyholders all day and will appreciate a quiet, reasonable request. Many insurers allow customer service representatives to adjust payments up to specific dollar amounts as a matter of goodwill and a way to reduce costs of future disputes. Hopefully, the CSR will be able to quickly resolve any issue you might have during your call. If your CSR is uncooperative or cannot provide the solution you want, however, ask to speak to his or her supervisor who will have greater authority to settle the matter before it becomes a formal complaint. Be sure to take notes on all phone conversations with the provider and the insurance company, including the date and time of the call, the names of the people to whom you speak, and what was discussed. In the insurance world, where everything is a potential lawsuit and public relations disaster, documentation is key. If the person with whom you are talking offers to make an adjustment or write off a charge, ask them to confirm their promise in writing, ideally by email. If they are unwilling to do so, ask for their email and send them a confirmation of your understanding of the settlement. If you’re unable to settle the matter informally, you need to make a formal written appeal following the process described in the insurance policy which you reviewed earlier. Include the details of the claim and any previous conversations you’ve had with the CSR in your letter to the insurer. Sign your letter and print several copies, keeping one for your files and sending a registered copy via the U.S. Postal Service to your insurance company. Also, send a second copy to the president of the insurance company. You can use the same address where you send the claim appeal as long as your letter is clearly addressed to the president’s attention. While it is unlikely that the president will personally intervene in your appeal, anyone handling your claim will know of his or her potential interest in the matter and seek to avoid any unpleasant consequences of a protracted dispute. Insurance companies are big bureaucratic organizations, so getting a response usually takes 7 to 10 days after receipt of the letter. If you haven’t received a contact within two weeks, write a second letter repeating the details of the first, plus the fact that you previously corresponded and were ignored. Having copies of your correspondence will be useful if you have to proceed to the insurance commission. If you are unable to resolve the matter to your satisfaction at the insurer, the next step is to ask your state insurance commissioner’s office to perform an independent review of your dispute. This step is usually taken after you go through your health plan’s internal appeals process first. However, if you don’t hear from the insurer within two weeks after attempting to make contact, reach out to the insurance commission. Insurance companies generally do not like to respond to insurance commissioners about claim appeals; it is bad public relations, particularly if the company has to seek approval for rate increases. However, it is important that you remain courteous in your conversations and communications with all of the insurance company or state insurance commission employees with whom you come in contact. The insurance commission cannot settle your complaint, nor force the insurer to decide in your favor. However, it can advise the insurer of their feelings about the validity of your claim. The commission’s usual process is to contact the insurer requesting information about your complaint, thereby notifying the insurer has the attention of the commission. In many states, insurance rate increases are subject to the approval of the insurance commission before they can be instituted. Commissions can also fine insurers when justified. As a consequence, insurers attempt to settle issues with policyholders before formal complaints or insurance commission contact is involved. As a last resort, you can file a suit against the insurance company over its failure to pay a claim. However, you should only take this step if you are absolutely certain that the facts are on your side and the money involved is significant enough to justify the expense and personal cost of a lawsuit. 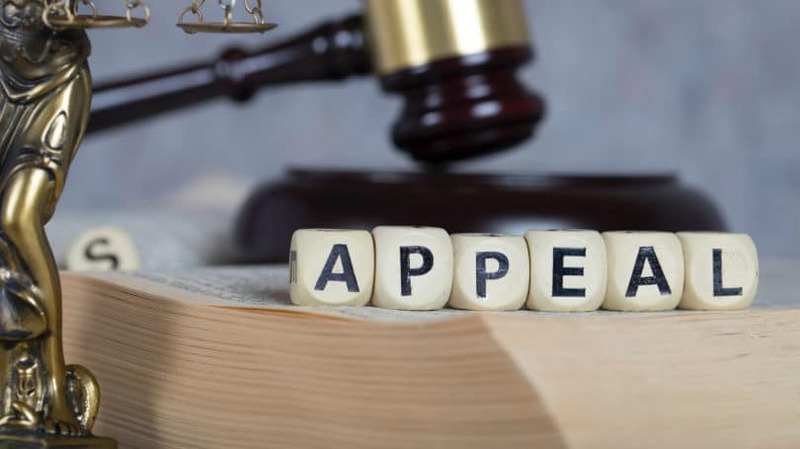 If you have followed the procedure for appeal and filed a complaint with the state insurance commission without receiving satisfaction, you should consider whether you want to proceed with a lawsuit. Insurance companies have deep pockets and they retain scores of lawyers. 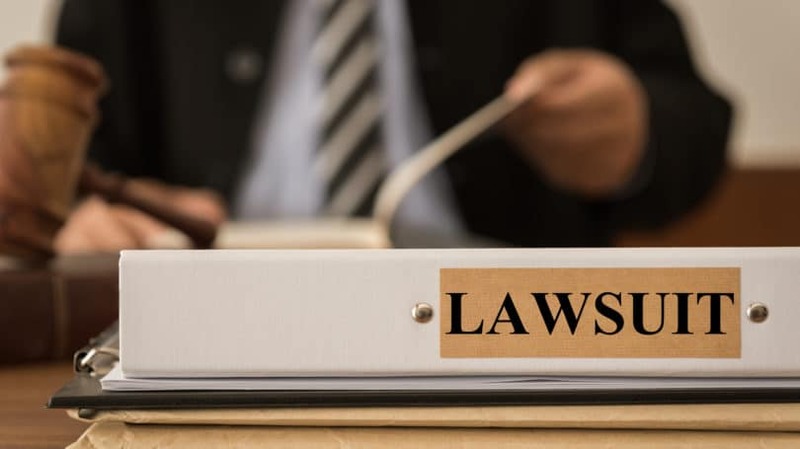 The likelihood of winning a suit or receiving a significant settlement is very low, so be sure you understand the consequences of legal action before you proceed. You should also be aware that failure to pay the provider, even though the amount owed or the identity of the liable party may be in dispute, can have negative effects on your credit score if reported. More than one-half of collection agency accounts concern unpaid medical bills. As the result of the economic times, providers, particularly hospitals, are more prone to turn unpaid accounts, regardless of the reason for nonpayment, to a collection agency which is likely to report the debt to a credit reporting agency. You need to consider whether paying the provider, even though you are appealing the claim, is worthwhile in order to maintain your credit score. Fortunately, a bill, H.R. 2086 The Medical Debt Responsibility Act, was introduced in the House of Representatives in 2011. This could eliminate the dilemma of whether to pay an invoice under appeal. Under the bill, any medical debts of $2,500 or less would be removed from your credit report within 45 days of settlement or payment. Hopefully, this bill will be passed by Congress in 2013. Getting the coverage you’ve paid for in a policy is sometimes a long and frustrating matter. But by diligently following the above steps, you can improve the odds of getting a decision in your favor without extensive delays and personal distress. Have you experienced difficulties in getting health insurance claims paid? What was the outcome?